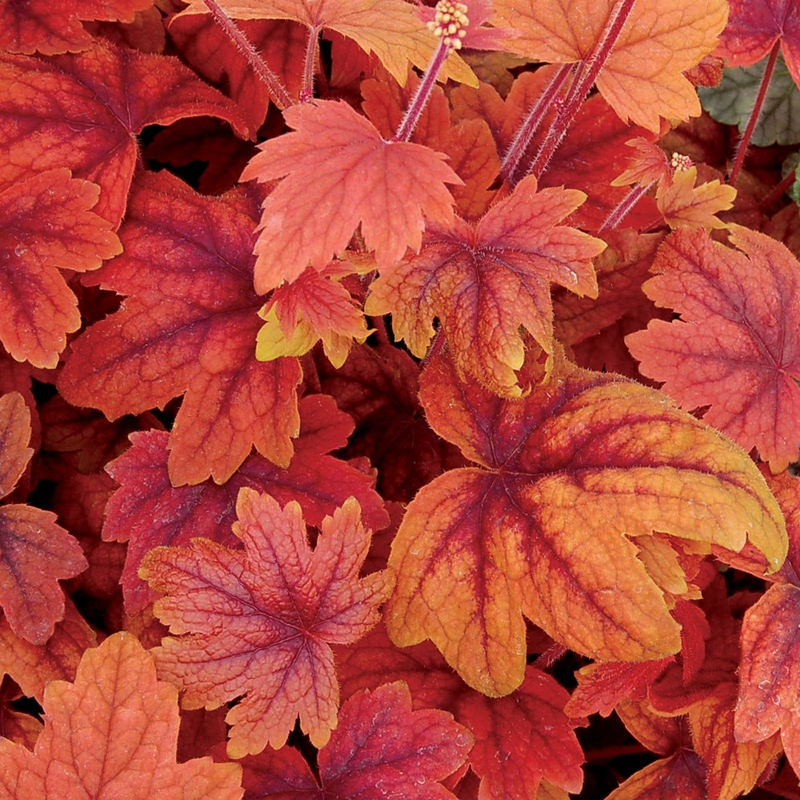 Heucherella 'Sweet Tea' is a colorful introduction from the talented growers at Terra Nova. The large etched leaves feature a cinnamon star in the center of a sea of orange color. A strong grower, this bright and colorful one is sure to get some attention from passers by. A good choice for southern gardeners as this plant is tolerant of heat and humidity. Also known as Foamy Bells. PP#21296. MATURE HEIGHT: Foliage 20". In bloom 27".